I have something terrible to admit. I didn’t realise what this film was about and judged it, purely from its title, to be a geezery, crime flick that I just didn’t care to watch. Could I have been more wrong? I don’t actually think it is possible. And this is one of the reasons why I am doing this film challenge. I can’t bear to think that I may never have seen this wonderful film. Made In Dagenham tells the story of Rita O’Grady (Sally Hawkins) a machinist in Ford’s factory in Dagenham. In 1968, O'Grady inspires her fellow workers to go on a strike that would later lead to the advent of the Equal Pay Act. Oh my goodness yes it is - so, so good. I thought thank goodness for people like Rita and her co-workers who risked personal suffering to ensure that women could expect equal pay for equal work. The cast is just superb. Sally Hawkins (Blue Jasmine, Paddington) is fabulous - you really care about and root for her. The film also features a brilliant performance from the late Bob Hoskins. 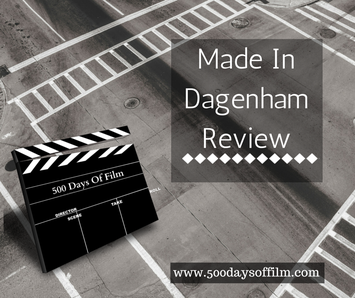 Made In Dagenham feels really authentic - from the scenery to the fashion to the cars themselves. You feel for all of the characters and, even though you know the eventual outcome, really start to worry about how they will continue their campaign as the strike begins to impact each of their lives. Of course, women still face challenges in the workplace. However, I left this film feeling such gratitude to these women. They made the sacrifices, they suffered the tough repercussions - all to ensure that I can demand equal pay for equal work - and my daughter can too. And I can’t thank them enough. I was so moved by the performance by Roger Lloyd-Pack in this film. Sally Hawkins is just awesome in everything… fact.